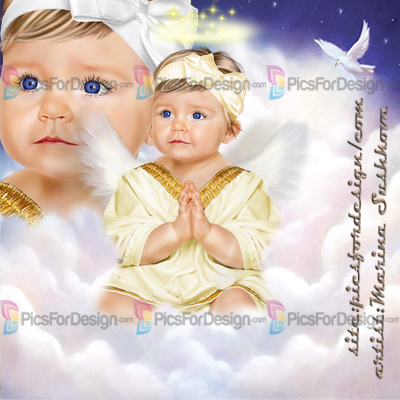 Little_Angel - Illustration store PicsForDesign.com. PSP tubes, PSD illustrations, Vector illustrations. Baby, angel, cute baby, cloud, nymph, bow, lamp, wing, Christmas.